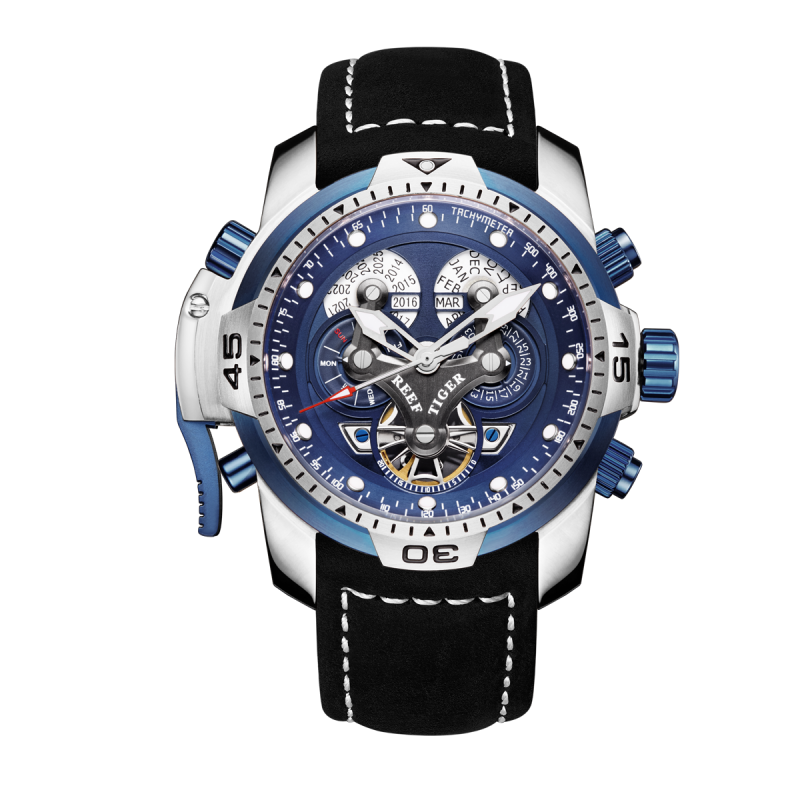 The Aurora concept watch, in addition to following the idea of the frontier artist's works, its functional design also inherited his creative spirit. 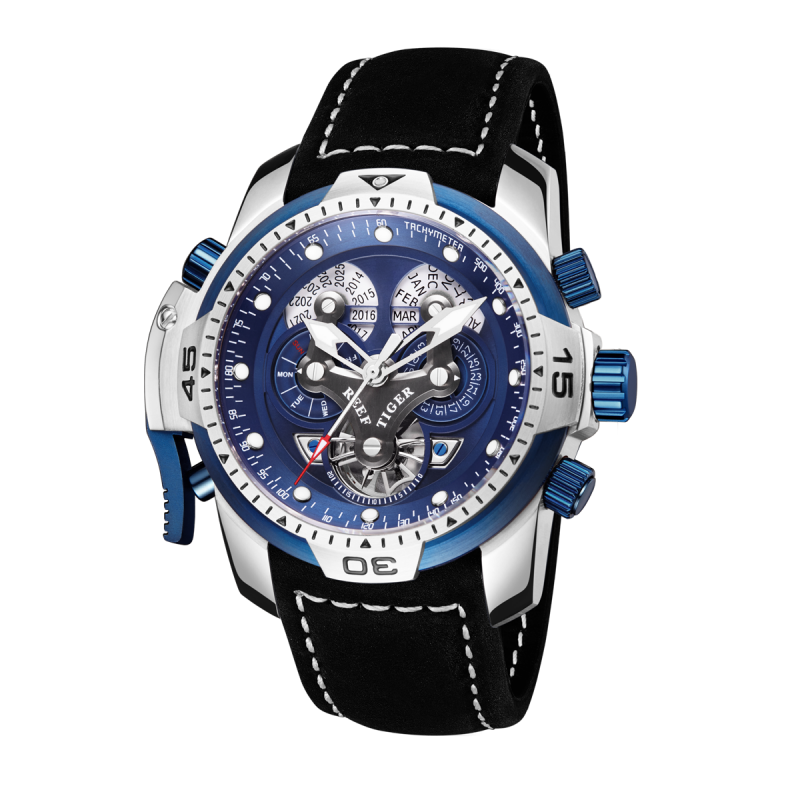 It is common in the fashion world to make a classic combination of the futuristic concept with wristwatch. 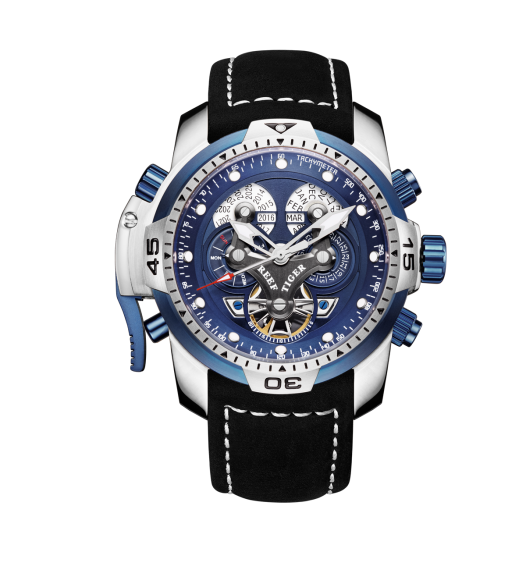 The launch of Aurora concept wristwatch is not only an exploration for the future, but also embodies Reef Tiger’s spirit of exploration and innovation. 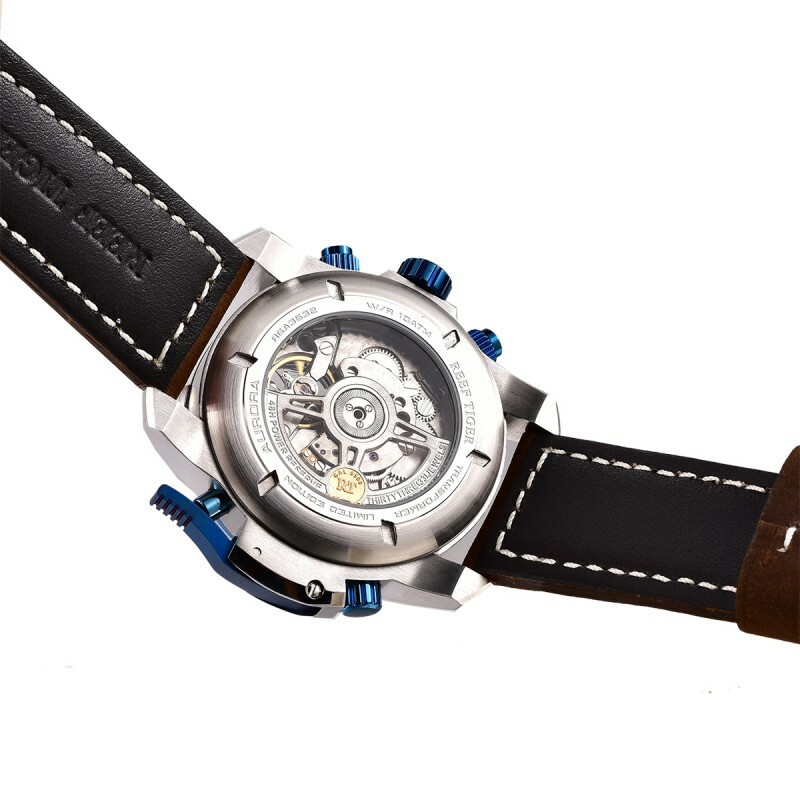 The new wristwatch is equipped with anchor escapement system, nonperiodic escapement system and mercury compensate-type pendulum.. The case of Aurora watch is used pure imported 316L stainless steel plated with rose gold. And the part linked to the crown and the chronograph buttons are adopted the brushed rose gold. The curved button on the left is in accordance with the overall style design of the watch. There are two sub-dial top and bottom on the watch dial. The tourbillion at 6:00 and the calendar for years and months at 12:00 represent time will still be the theme of perpetual however the future will be. The left sub-dial is for day function and the right one is for date function. The engraving of dial and the use of shading that the designer made reflects the conjecture of future. It is full of sense of science and technology. Aurora Concept Watch. The durable, stainless steel, fixed bezel also fitted with create professional looking proposals and presentations. Durable poly front and back covers with coordinated. 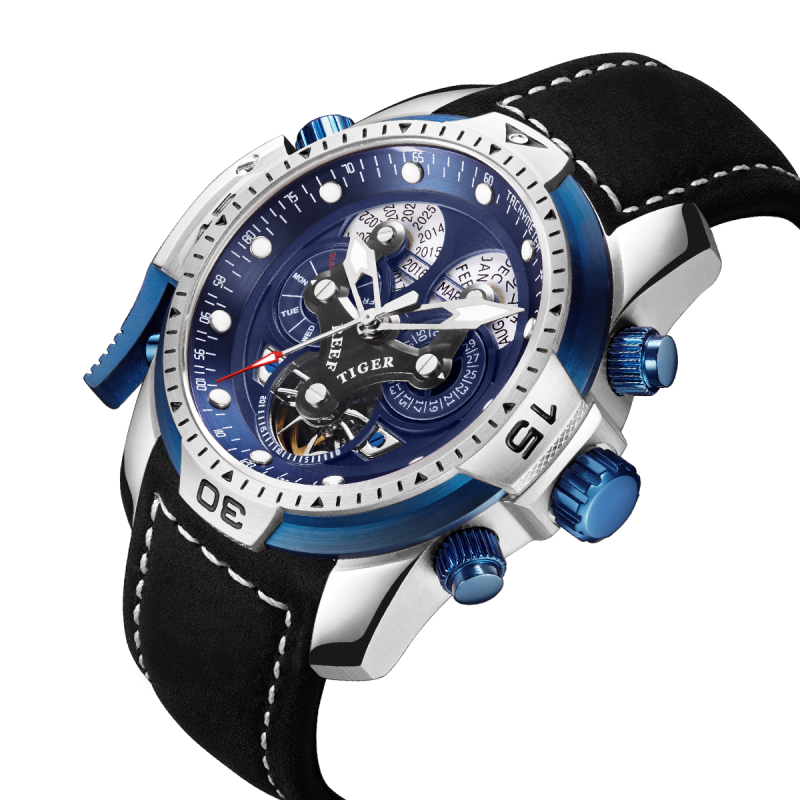 Blue dial with two subdials. Tourbillon cage display at 6 o'clock, year and month display at 12:00, day at 9.00 and Date at 3.00. 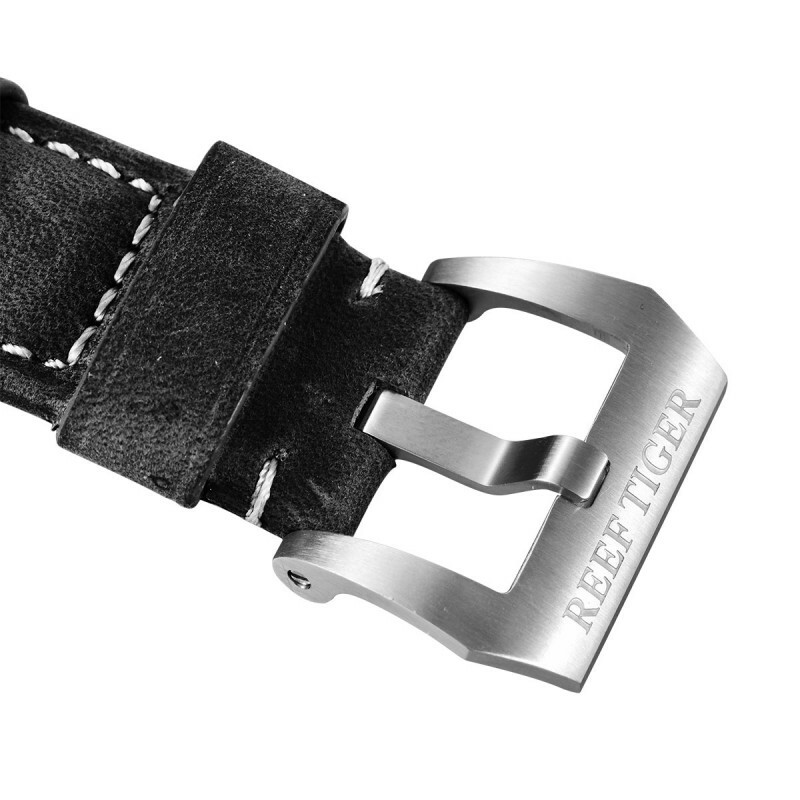 Soft and comfortable leather strap with with Tang Buckle. High quality leather strap with tang buckle.